An-Nahar Daily reported on Friday that 18-year-old Hassan, a Baalbeck native and a Hezbollah fighter, spent three days fighting with the party alongside the Syrian regime in the border town of al-Qusayr. 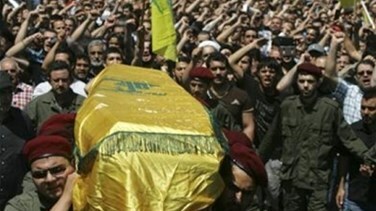 Hassan who was notified of his father's death in the battles upon his arrival to his hometown said that Hezbollah fighters advanced toward the northern part of the city, when the opposition fighters came out of the tunnels and opened fire against them "seemingly out of nowhere". “We did not see any fighter from the Syrian opposition; we thought they were not there. After we crossed two thirds of the city heading north, hundreds of well-equipped opposition fighters came out of their hideouts and started shooting at us. Many lives were lost and several were injured by gunshots to the back,” Hassan said. In this context, Hassan revealed that the hardest mission for Hezbollah is to take control of the northern part of the town, where the opposition fighters are barricaded, noting that snipers are also widespread in the area. “It will cost us a lot, but the situation will be under control,” Hassan asserted.